Wow I was just looking at the overall inventory of homes available for sale in South Orange County and the inventory is sooo low. Especially for Townhomes. 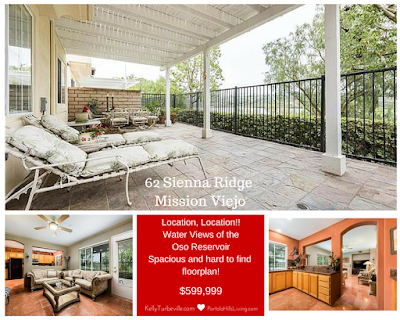 Good thing I am holding open 2 homes today in Painted Trails in Mission Viejo.. Both of these homes are in an amazing location. Overlooking the Oso Reservoir Surrounded by tranquil walking paths. Slightly different floor plans but both boast Huge Master Suites and Extra Large Kitchens, that you rarely find in a Townhome. 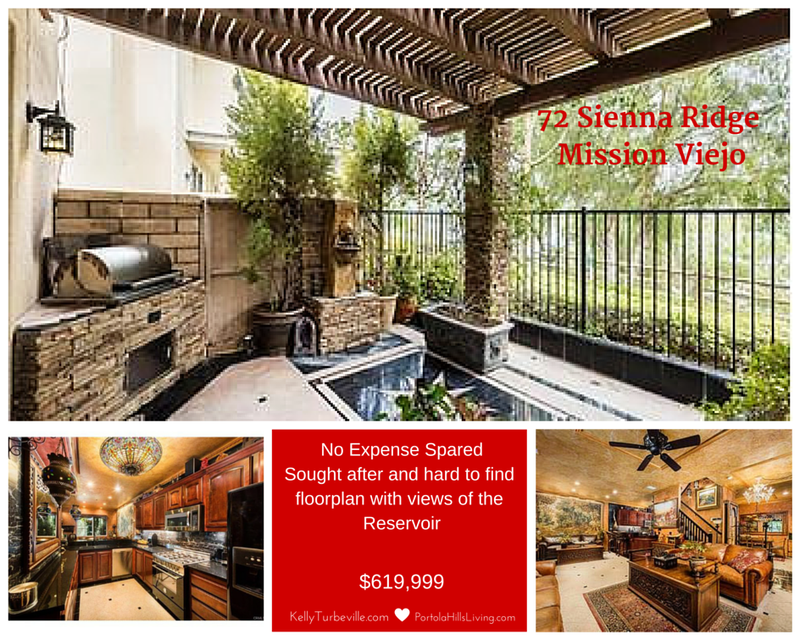 62 Sienna is designed in a Traditional Style with lovely designer upgrades throughout. Have you ever thought you want to live in a Moroccan Palace? Then you certainly want to preview 72 Sienna. No expense was spared with custom upgrades throughout the home...!! 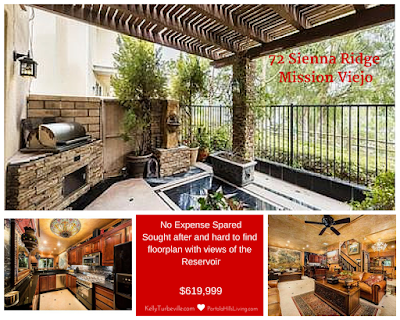 Painted Trails is a beautiful master planned community on the North East end of Mission Viejo. 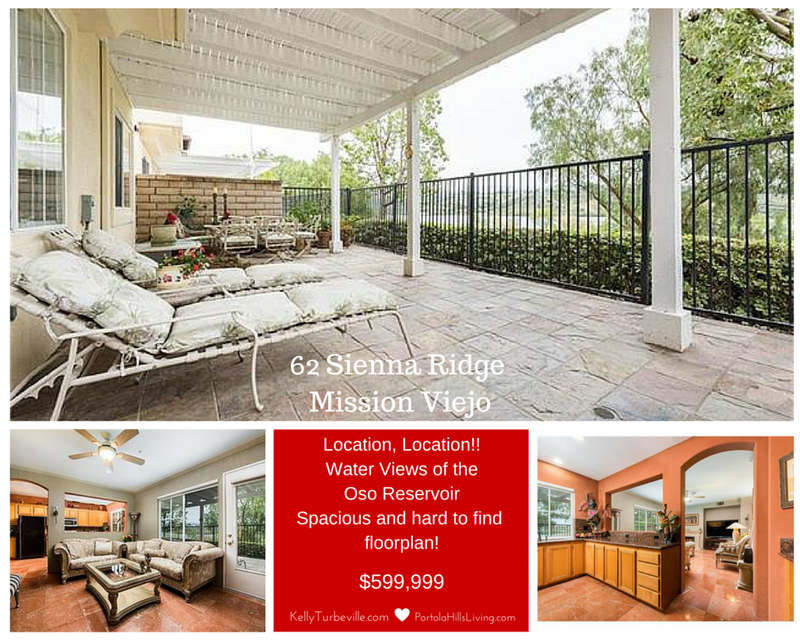 Located directly across the street from Portola Hills and just as you enter the Trabuco Canyon area in South Orange County. With just over a month and half of available homes, these two beauties should be snatched up quickly. The homes are listed by my friend and Realtor Russel Taylor. So make sure to pop in and see them. Can't make it today, give Kelly a call to schedule a showing!